Community is a big deal. We preach on it, encourage it, and strive to create outlets for authentic community to take place within our context. However, sometimes it’s a little more complicated than this. There are some students who truly crave community, buy they’re having a hard time finding their place. This small group discussion guide is designed to help students learn how to be a good friend, make good friends, and keep good friends. This is a sample of one of our CIRCLES discussion guides. We believe that big change happens in small groups. This is why we created CIRCLES — a monthly curriculum to help your students start small groups within your group — these can take place during service, throughout the week, or even as their own gathering. When you sign up, you will get access to the complete circles library with the most recent discussion guides, small group questions, reading plans, introduction videos, and an archive of past discussion guides. How to start circles in your group. The Circles curriculum is totally free — the content, the coaching, and even the materials we send you. It’s all pro-bono. We do this, because we want to help you win. Please let us know that you want to start circles up in your ministry! We will walk with you the whole way. You want a custom banner? We will do it. You want a phone call to pray and go over strategy? We got you. Do you want a muffin basket? We will look into it. We believe that equipping & empowering students to run their own groups will help you change your city and grow your influence in the community. Step Two: Print out your CIRCLES material. Simply print the material, pass them out, then pray. It’s amazing the impact of something tangible in this digital world — from printed posters to discussion guides they can hold. It goes such a long way. We have made promotional pieces to help you set up visual cues to promote Circles. Every month, we will send the most recent CIRCLE bundle right to your inbox with other great freebies. Celebration leads to replication. Always. If you want to see something repeated over and over again in your ministry. Celebrate it. We cannot wait to tell stories of life-changing impact in schools and cities because of youth pastors who helped their students put the message into motion. Do you want more content like this? 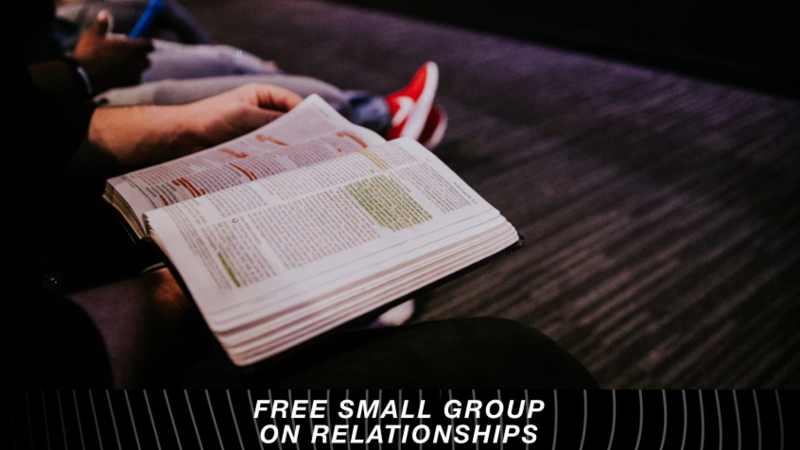 Simply sign-up for our CIRCLES program to receive 3-4 discussion guides, small group handouts, and reading plans the first weekend of each month.